Rafa Benitez’s contract is running down, and will expire and the end of the current Premier League season. Newcastle have tried to offer him a new contract but the main thing Benitez wants it control of the transfer pot, and full control over the transfers. 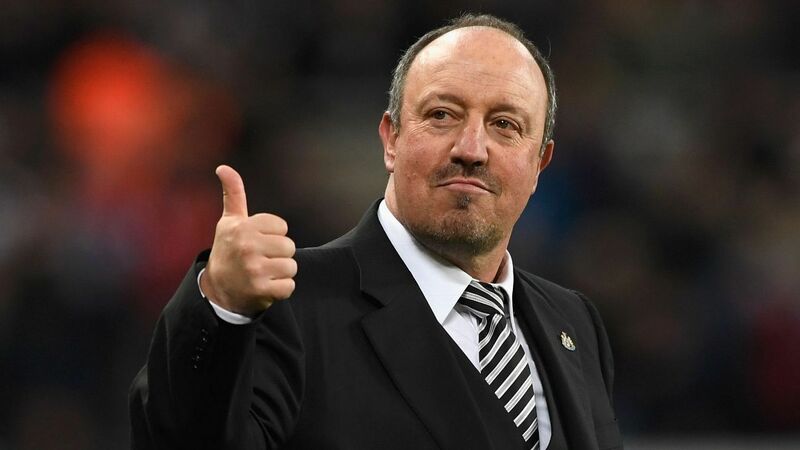 If what has been said by Benitez is true (you have to trust Rafa over proven liar Mike Ashley) then any transfer over 12 million needs to go up the chain of command and get the ok at every step of the process, then be passed back down the chain of command. This means that if Benitez wants to splurge on a quality forward for 35 million quid it has to be approved by the bosses all the way up, and all the way down and anyone with a brain can see why that would become problematic in the world of football where there are often numerous clubs battling it out for the same player. This is the major sticking point between Rafa Benitez and Mike Ashley and Tianjin Quanjian obviously see as an ideal opportunity to pounce and bring a man to the Chinese Super League who has reportedly been tracked by numerous clubs in China who have an interest in bringing him to the far East. If a buyer cannot be found for Newcastle United and Mike Ashley is still calling the shots next season a lot of Newcastle fans expect Rafa to run his contract down and walk at the end of the season unless Ashley will give him the guarantees he wants. The problem for big fat lying Mike Ashley is that Rafa has clocked on to his nonsense and now requires written assurances not just verbal ones. For someone who has been exposed as a proven liar in the case brought against him by Kevin Keegan, written assurances are obviously a big problem as he knows they can come back to bite him on his backside. So now we have a situation where Rafa won’t sign until he gets his written assurances and Ashley won’t give him his written assurances until Rafa signs, it sounds like some school ground argument style nonsense but this is the situation Newcastle find themselves in right now. A Mexican stand-off, where good is fighting evil but this time evil could possibly be the eventual winner of this shoot out. If Rafa Benitez walks out on Newcastle at the end of the season it is unlikely he will rock up in the Chinese Super League as the next post in his career. Benitez has never seemed like a man to follow the huge money and stupid offers, he comes across as the kind of guy who would rather move to prosper his career or stay close to his family (which was mooted as the reason he came to Newcastle in the first place). None of those reasons are on offer to one of the best managers around currently, all the Chinese Super League clubs can offer Benitez is buckets upon buckets of money, but he isn’t exactly short of a bob or two so for someone like Benitez who has ambitions to continue to be one of the best managers in Europe the allure of buckets of cash become less important. He isn’t going to be short of job offers if or when he walks out from the parasite that is Mike Ashley and when he does he will be able to pick and choose he next move carefully. China won’t be consideration in our opinion.